Background Info print-outs: STEAM related! 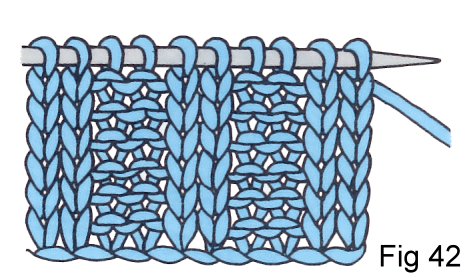 You can knit and crochet all kinds of garments without being able to read a pattern. However, being able to read patterns can add to your choices, technique, and abilities. TEACHERS: Please give students Print-outs of Lesson Plans (above) and any Background Info you choose. 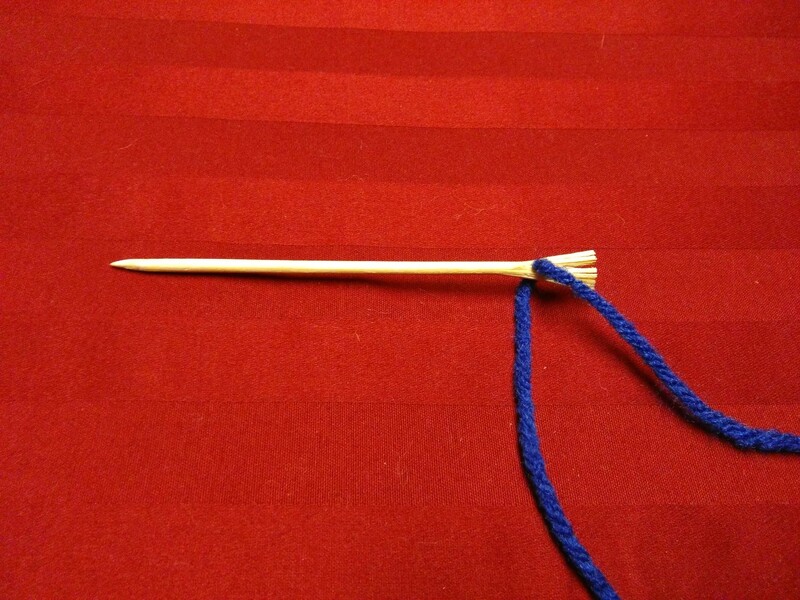 Also, please allow the students to take home their Knit Kit (sandpaper, bamboo needles and "practice ball"), so that they can practice every day if they want to. 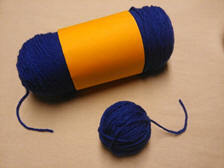 After students have mastered Lesson #6 Knitting, then please allow them to take their Project Yarn home. 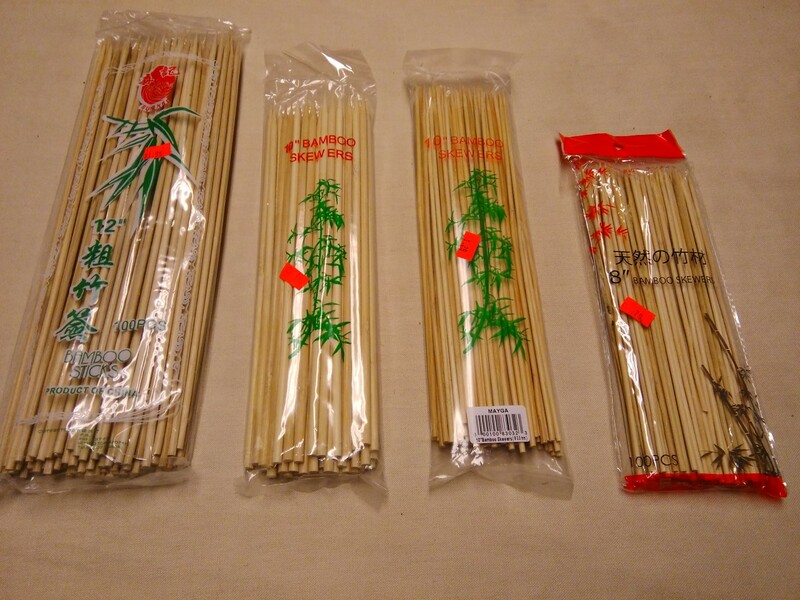 PRINT-OUT: "What you need to start"
• knitting needles: purchase inexpensive bamboo chopsticks (sharpen in a pencil sharpener) or 10” bamboo skewers (size 8 & already sharpened at one end) available for purchase online, craft stores, and Asian food markets (different lengths and widths could be available). Or purchase dowels at hardware stores or craft stores, and saw to desired length. 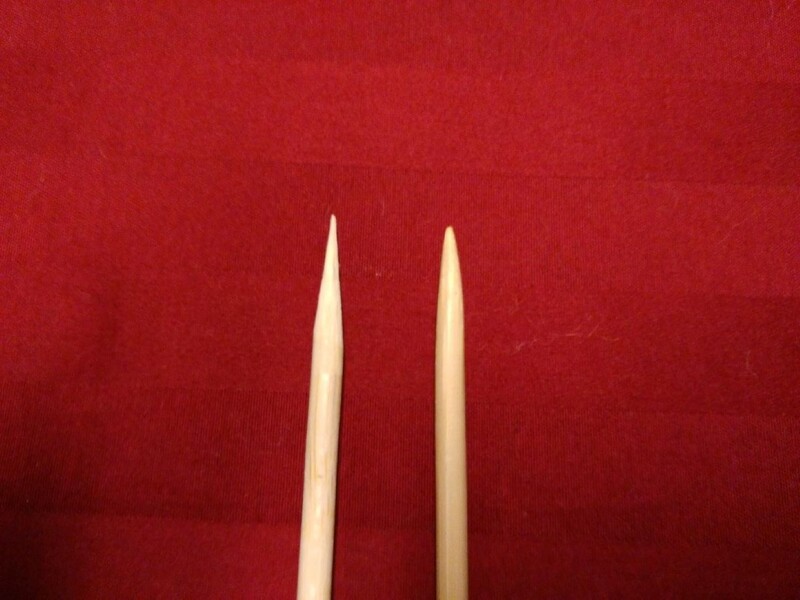 • sand entire needle 3 times with 3 grades of sandpaper in this order: 320 then 600 - slightly round off sharpened tip. 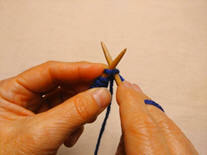 • wrap blunt end with rubber band to avoid knitted yarn from following off the needle end. 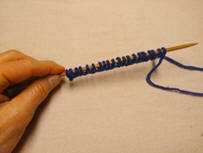 3rd photo: left needle – unsanded skewer / right needle – finished “skewered” knitting needle! 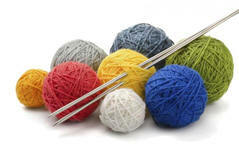 • tapestry /jumbo needles – purchase rounded toothpicks or 8” mini bamboo skewers (size 3), cut in half, hammer blunt end in order to wedge yarn into wood fibers, then sand pointed end as above. 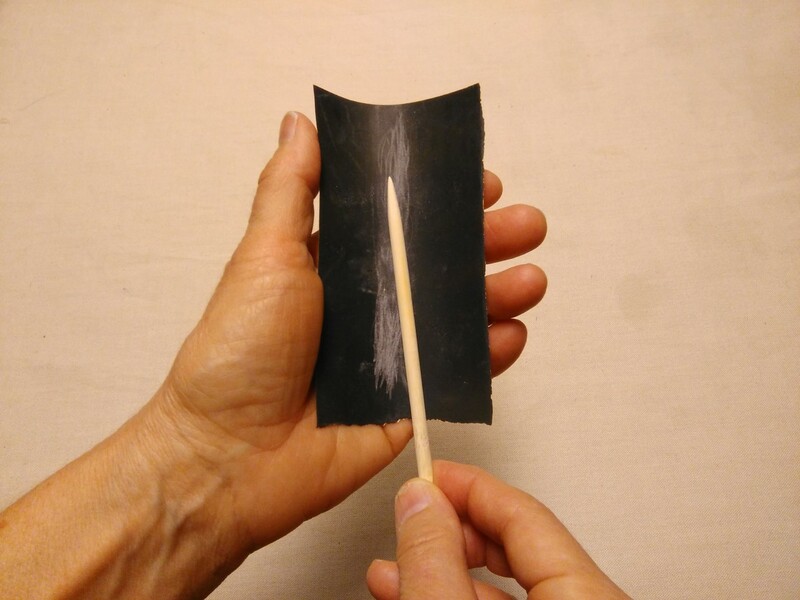 For a second jumbo needle from other half of mini skewer, sand one end to a point (it will take more time since it is a blunt end) and hammer other end as above. The LESSON PLAN is numbered to encourage students and teachers to work in a progressive order so that skills are built on a solid foundation. 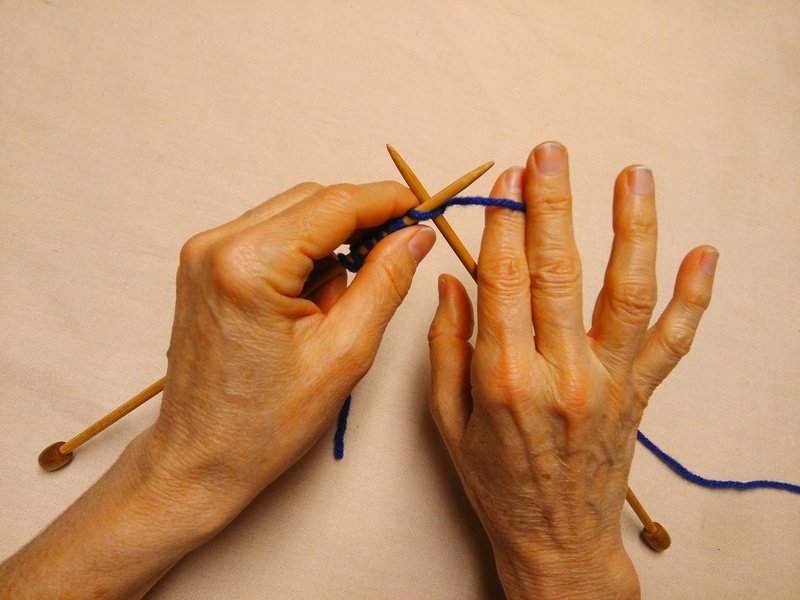 Although there are many different ways to do things like how to wind yarn, hold yarn, slip knots, and cast-ons, we are recommending only one or two methods in the interest of simplicity and brevity. 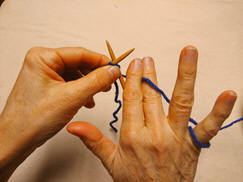 Hold first stitch on needles with pointer fingers. 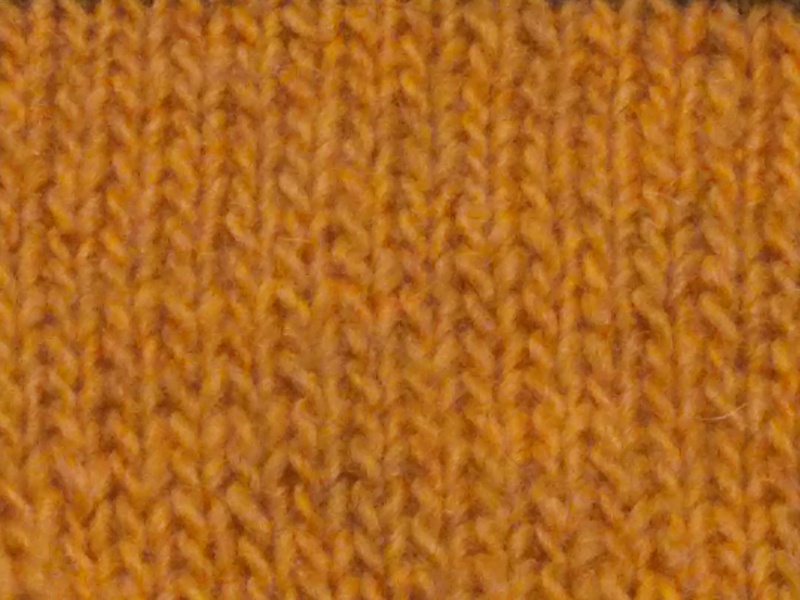 Stitches on needles should be about 1 inch from tip. 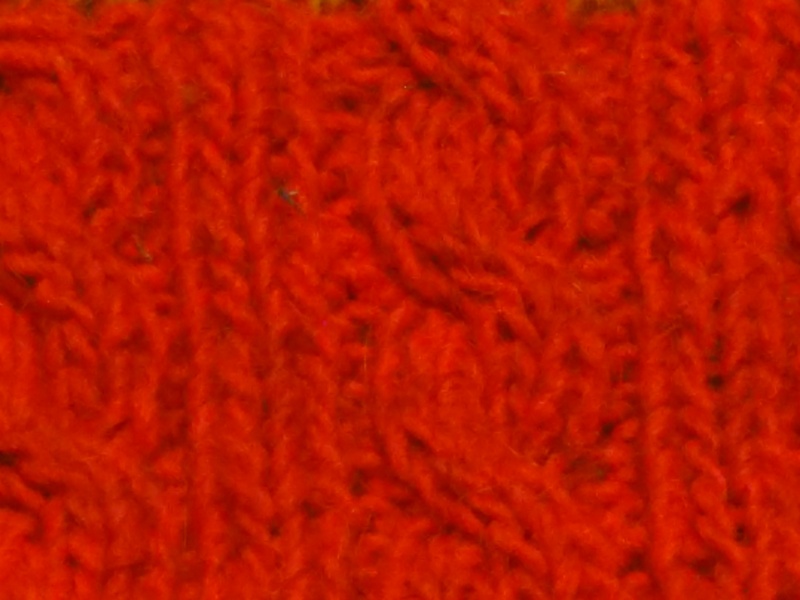 Stitches should be snug, but not tight. Loops should be able to slide along needle. 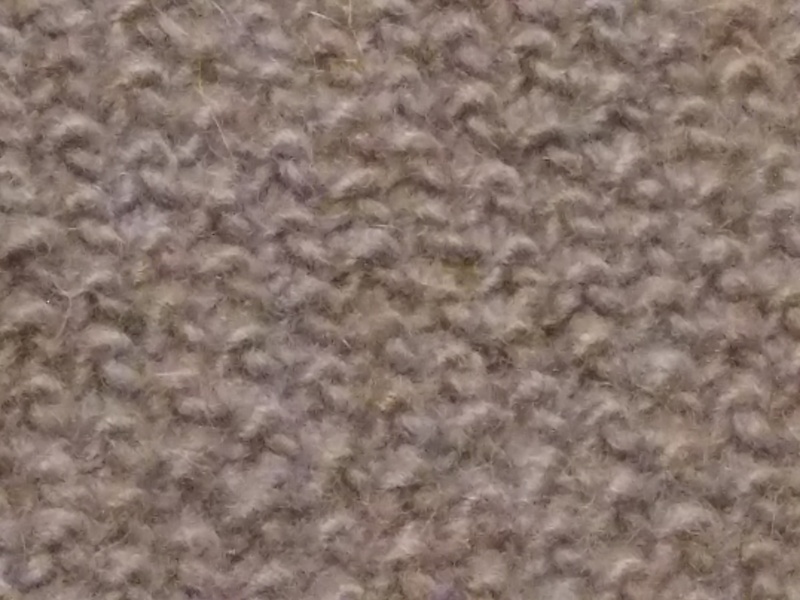 After casting on, cut tail end of yarn to about 5 inches so that it is not knitted by mistake. 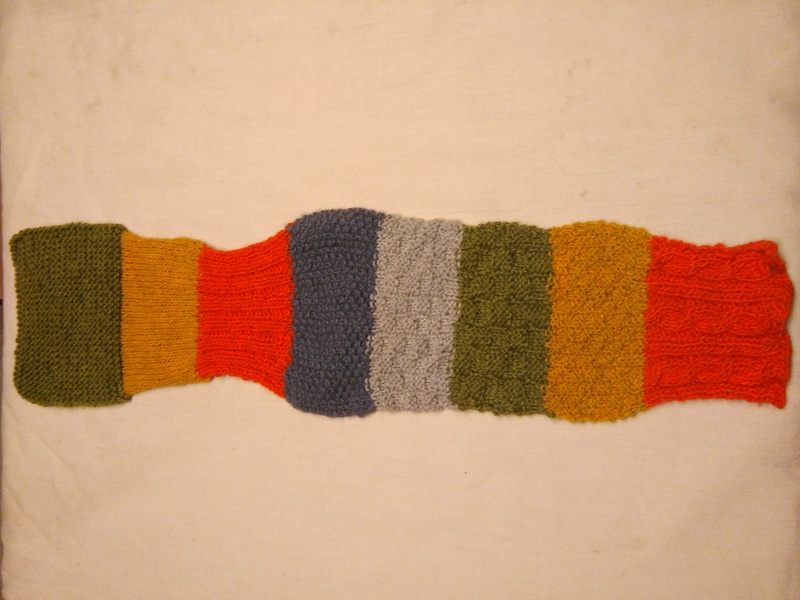 When you begin a new row, be sure to knit into the front yarn only and not both front and back. 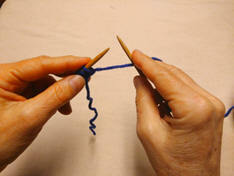 After the first 2 knits, the yarn on your needle can get loose, gently pull on the yarn tail to snug up the stitch. 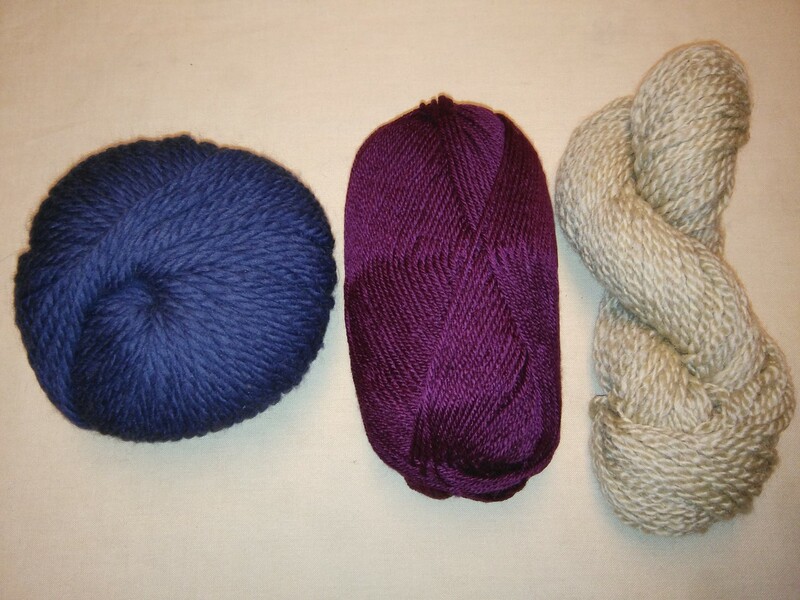 loosely balled yarn, skeins, or hanks. 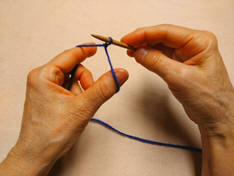 Tip: Keep pointer fingers on top of first stitches on either needles to keep yarn from falling off needles. 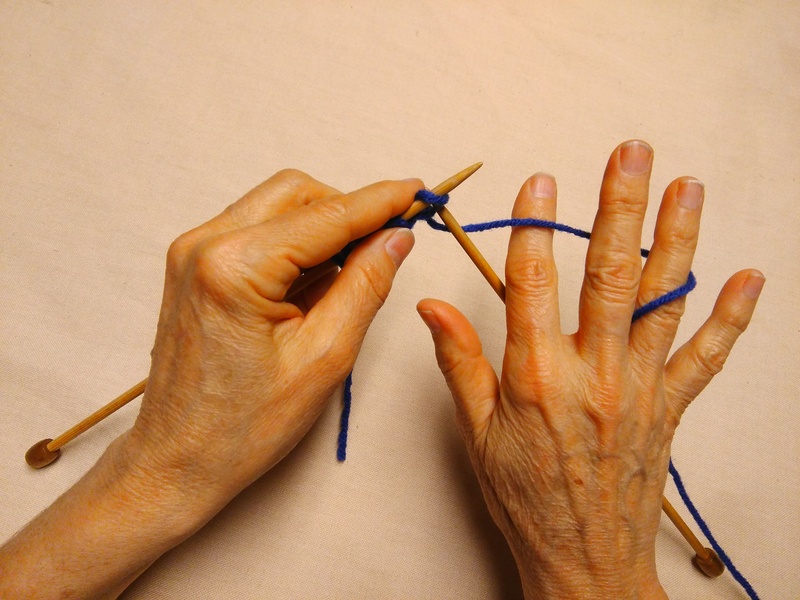 NOTE: For less tension, place yarn between first two fingers only, or hold yarn any way that feels comfortable! 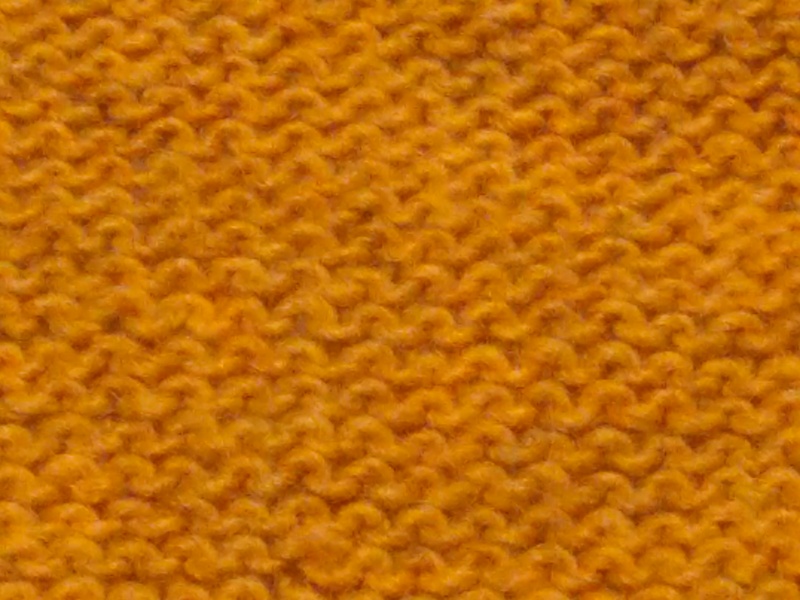 PRINT-OUT: "Invisible Seams & Grafts"
PRINT-OUT: at bottom of "Increase & Decrease"
Yarn Over After A Purl Stitch And Before A Knit Stitch. 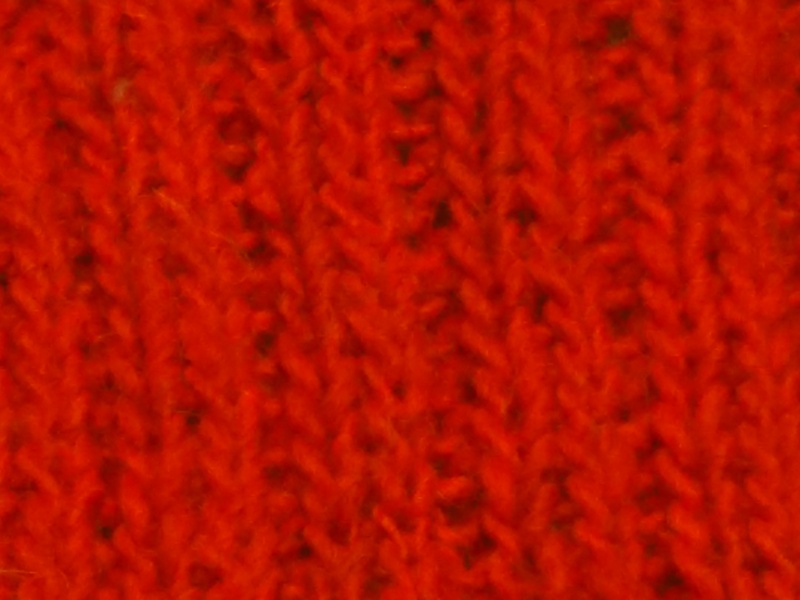 Knits on one side and purls on the other side.